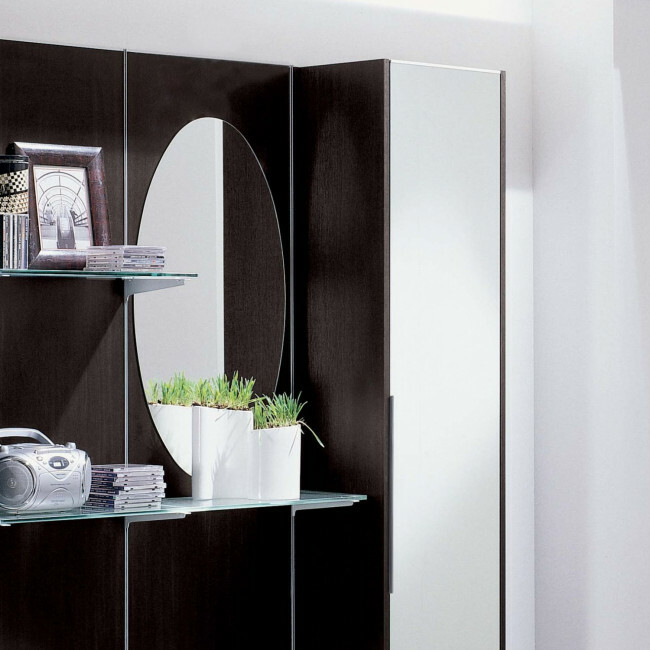 Astor A11 is an hallway shoe rack with cabinet, featuring also glass shelves and a mirror both mounted on two wall panels. Astor furniture items are characterized by the presence of almost invisible racks which allow you to freely configure the layout of your hanging elements. A composition like Astor A11 is an elegant and modern solution able to completely furnish your hallway with all the storage and decorative elements you need: mirrored shoe rack able to contain up to 20 pairs of shoes; cabinet with mirror equipped with shelves and internal coat hooks; extra shelves for books, decorative objects, frames and key holders. An hallway furniture including a shoe rack and a cabinet is the perfect solution for a big family, but it can also represent a smart idea for small houses where there's the need to well organize each single space. Dark oak finish shown in the images is out of production. 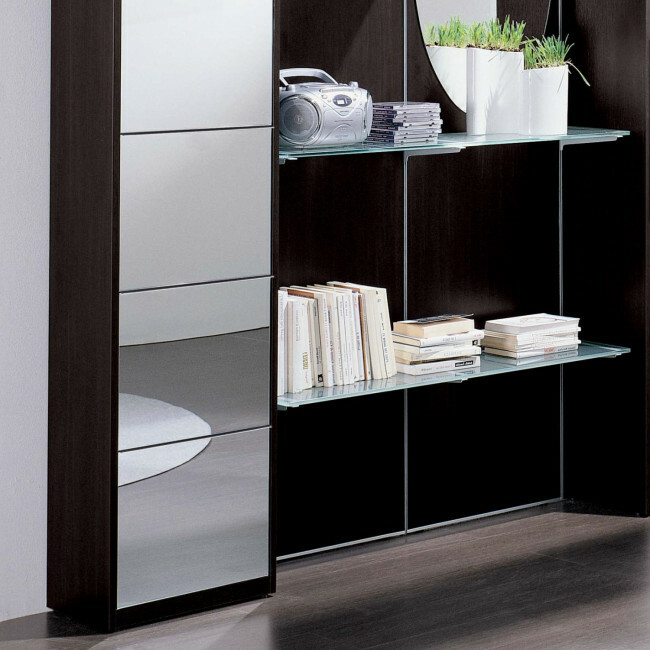 - 1 cabinet with mirrored hinged door. Big Shelves: cm 113,5 d.29 in frosted glass. Astor A11 belongs to Astor collection, which gathers modern hallway furniture with a high degree of customization. Astor products are characterized by invisible racks which allow to place and move the different storage elements according to your own needs.